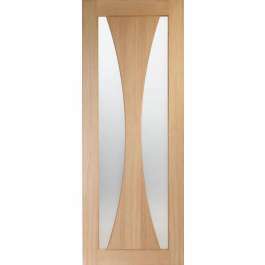 35mm flush non-fire rated internal oak veneered door with 2 full height curved vision panels, creating an interesting and stylish design. Glazed with clear toughened glass, protected by film to be removed after applying finish (Paint'N'Peel). Supplied factory prefinished in clear satin lacquer. 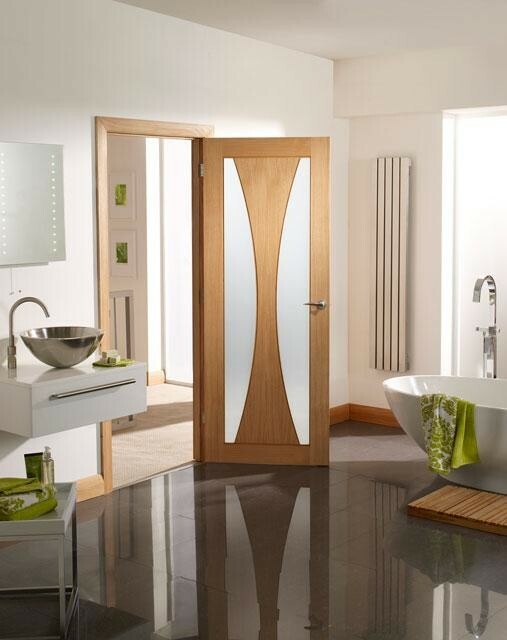 Available in standard imperial sizes with 10 years manufacturing guarantee. FSC certified.